The author of one of the most celebrated children’s books of all time, Alice’s Adventures in Wonderland, would have celebrated his 182nd birthday Monday. Born Charles Lutwidge Dodgson, Jan. 27, 1832, the mathematician wrote Alice, its sequel Through the Looking-Glass, several other books and poems under the pseudonym of Lewis Carroll. These magical and fantastical books and their author have been quoted the world over (Who in the world am I? Ah, that’s the great puzzle); reportedly inspired multiple Beatles’ songs, and of course, plenty of films (some that adhere to the original script, others that do not). Among apps, the creative license is also at work with modern interpretations of Carroll’s work seeming to grow in their fantastical elements each year. I have to believe, though, he might not have minded so much. 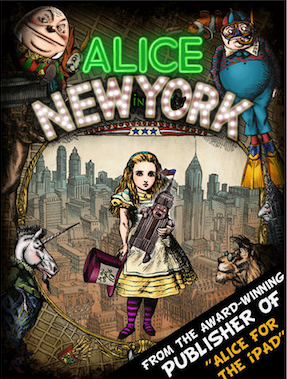 Of course, you can always find the original telling of Alice via your Kindle, Nook, iBooks, Googlebooks and Goodreads app, among other mobile sources.